We wanted to see if we could generate a heatmap and render it on a site if we supplied the data, and we could! So we used that ability to make a heatmap of vacant houses to be able to better visualize the different neighborhoods of Baltimore. 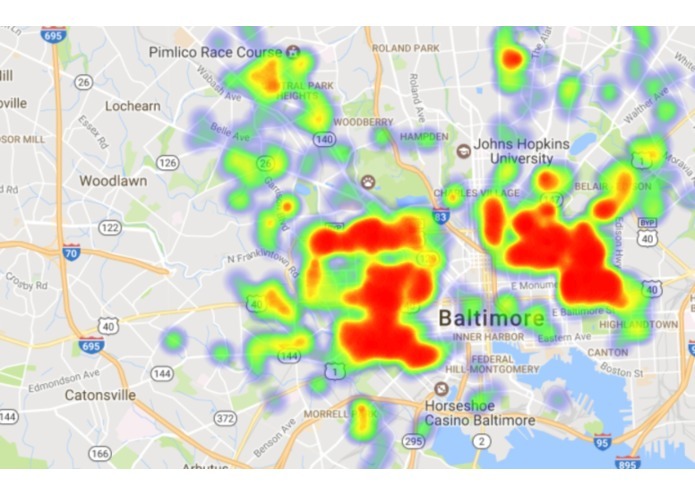 It renders a heatmap of vacant houses in Baltimore. We wanted to further implement NodeJS and React frameworks but time constraints only allowed us to learn about them. We managed to get something hosted and working! I handled implementing the api for the vacant houses.